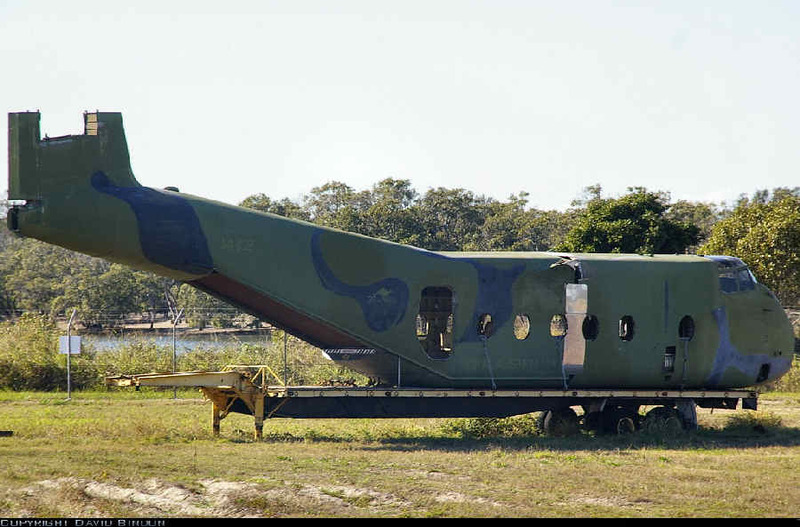 Crew briefing prior to a practice Air Sea Rescue Kit (ASRK) drop off Fraser Island north of Brisbane Queensland. 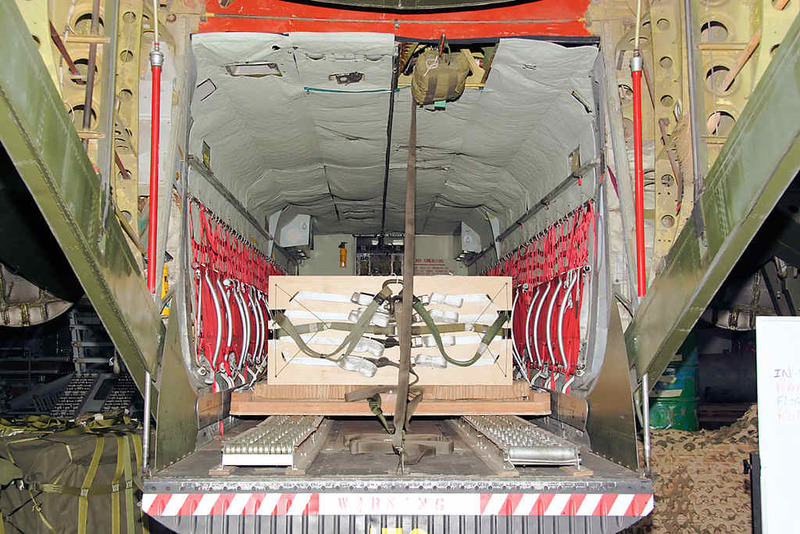 The real kit consists of a liferaft, 3 individual stores containers and a second raft all joined to each other by 125 metre long coils of nylon rope. 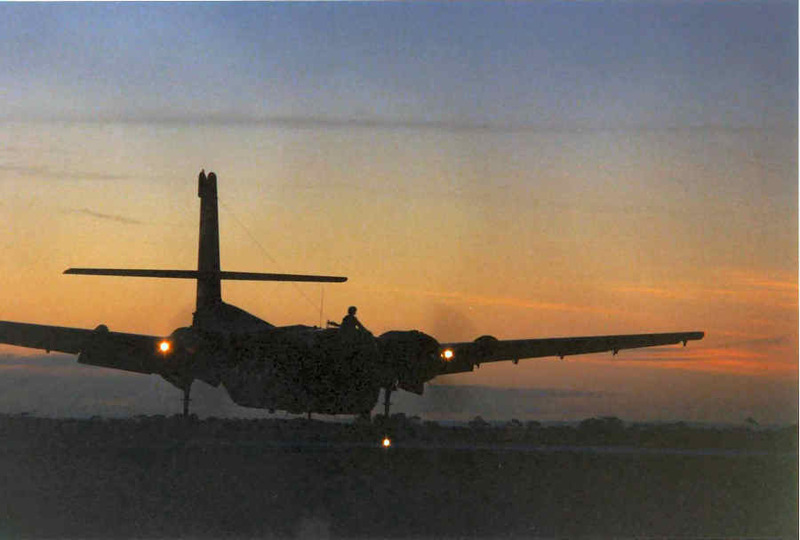 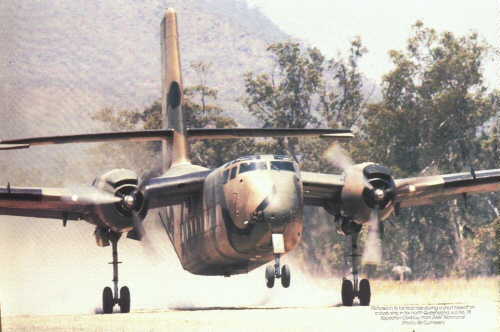 After marking the survivor with smoke markers, the ASRK is dispatched by hand over the ramp. 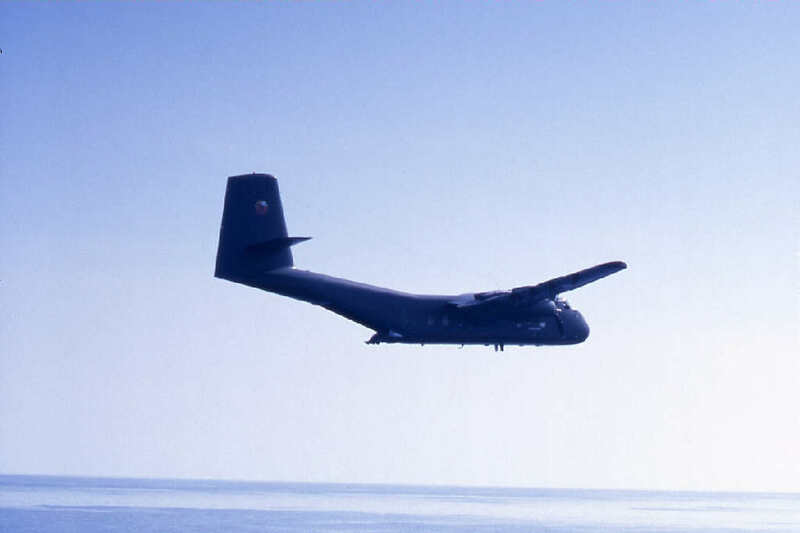 Checklist timings aim to place the 625m long string of rafts/containers in the water with the centre container upwind and in line with the survivor. 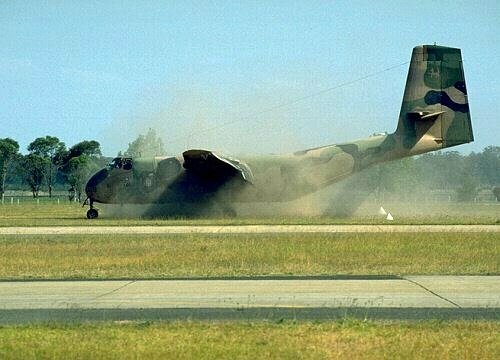 The whole kit should drift to the survivor. 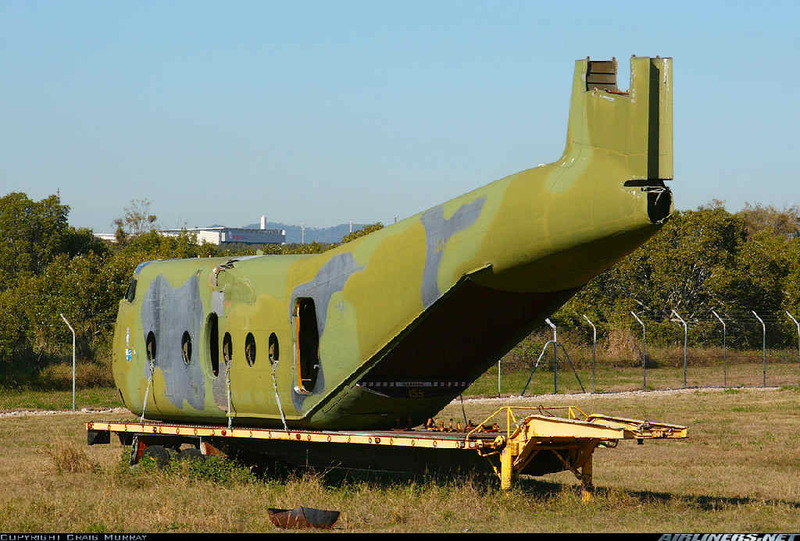 For training purposes, the rafts and containers are simulated using timber blocks of similar weight and dimensions. 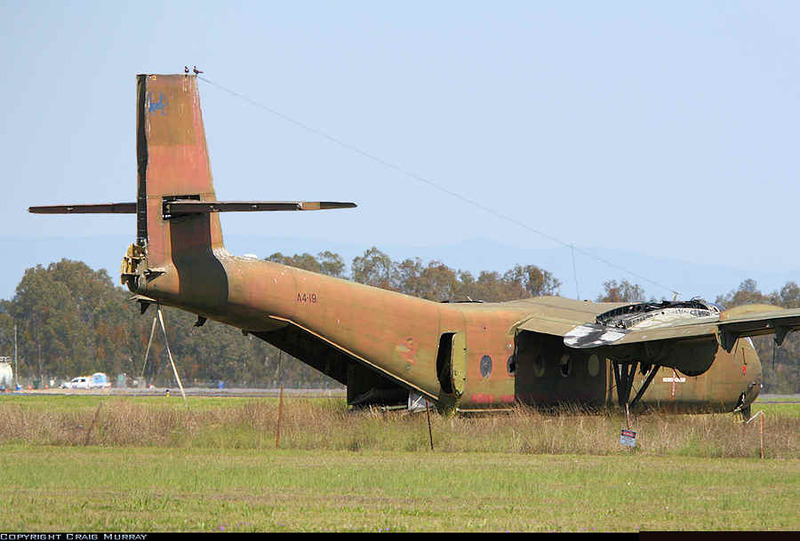 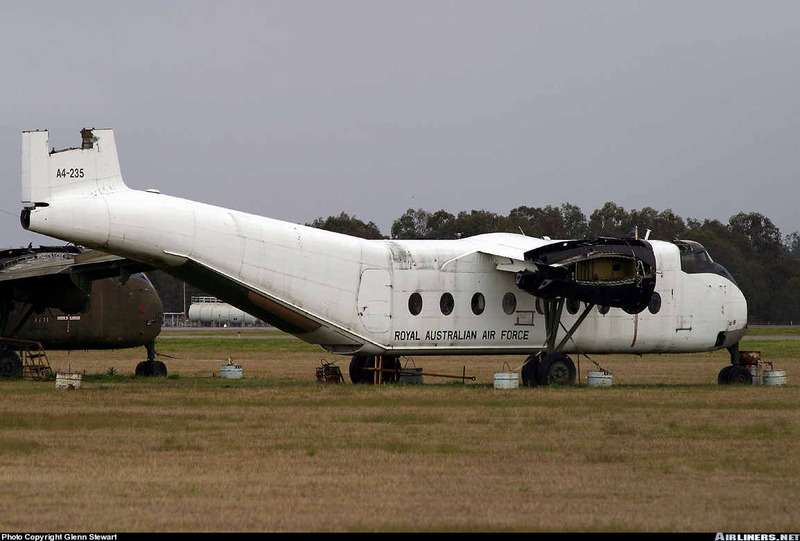 >>> A4-191 (cn # 191) dumped on the Eastern side of the airfield next to A4-235. 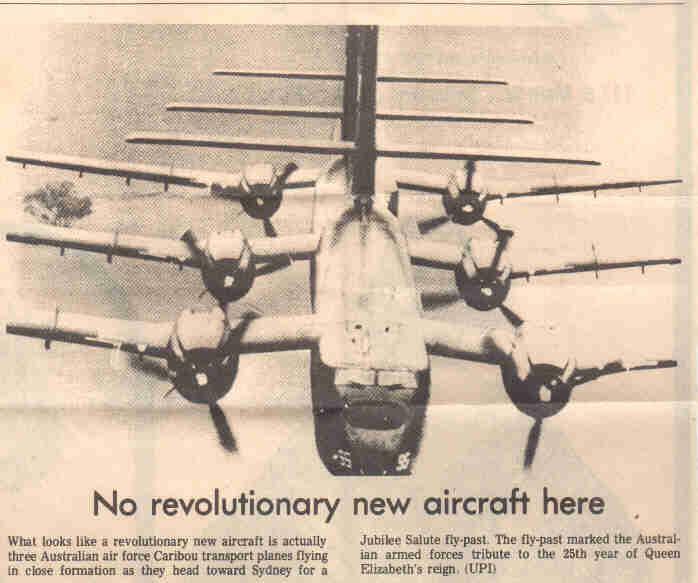 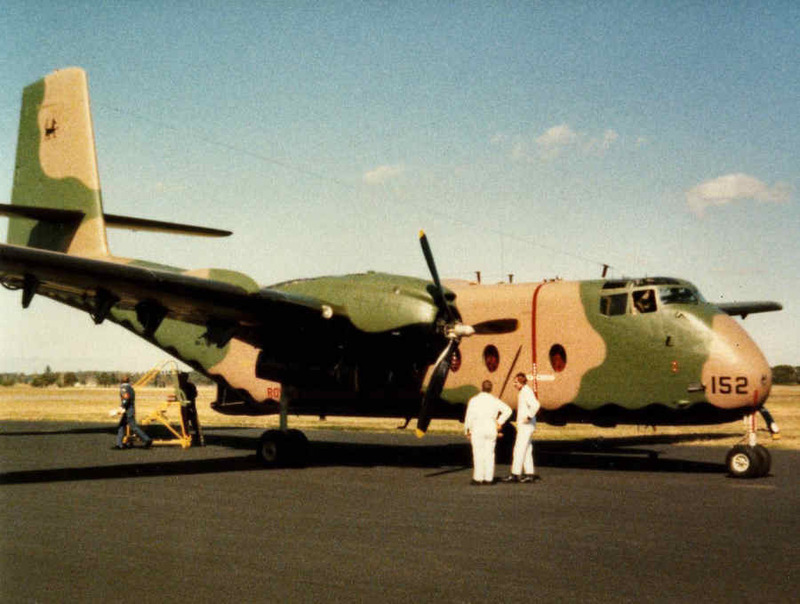 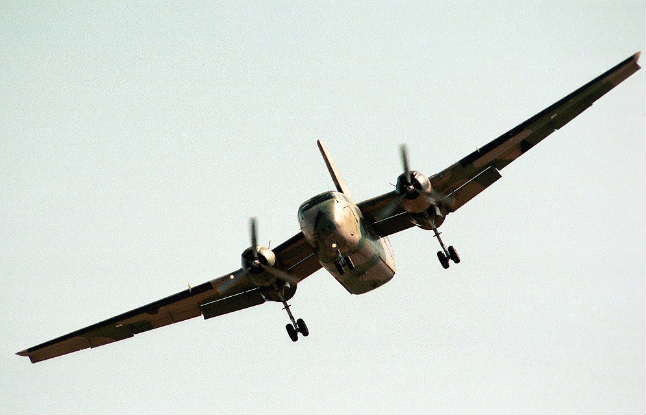 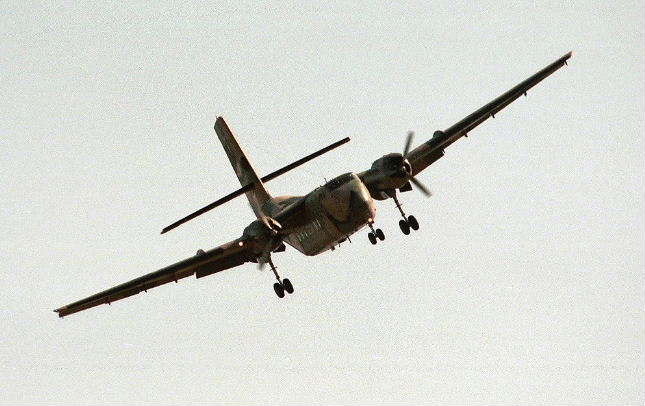 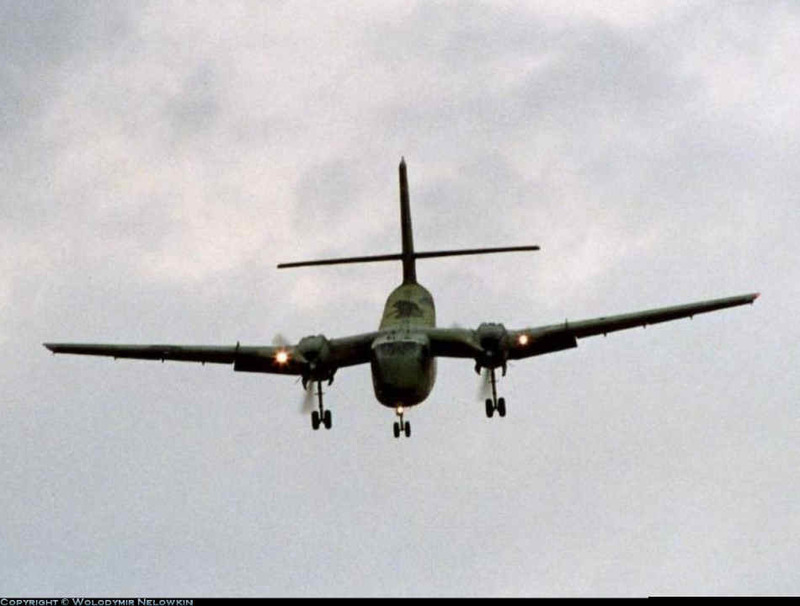 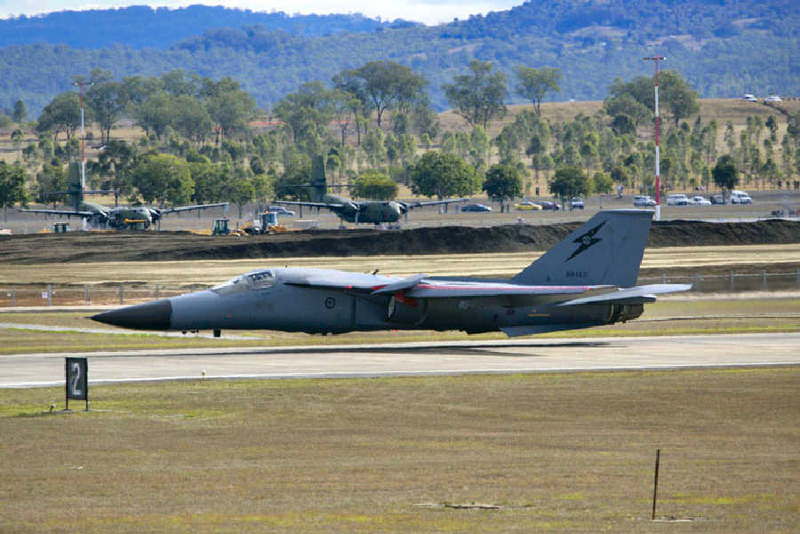 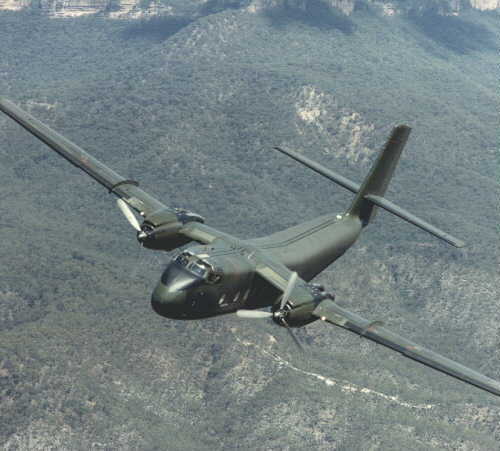 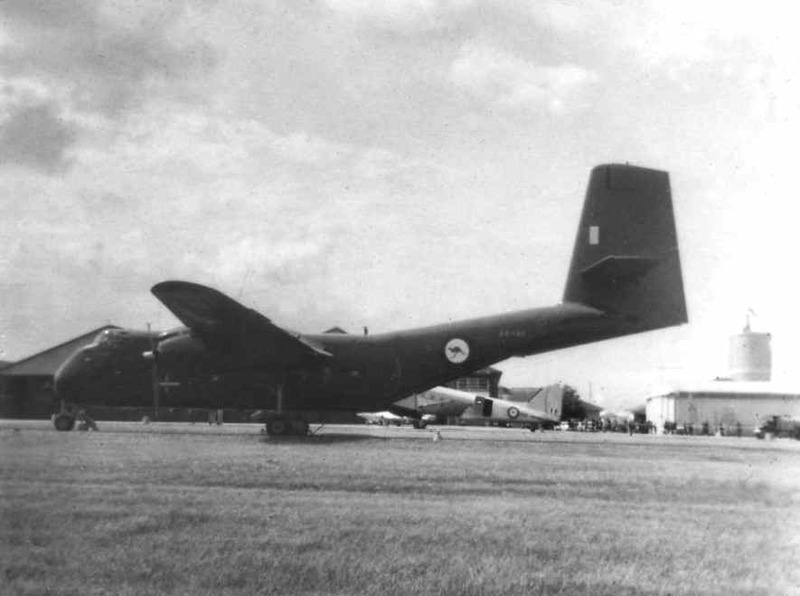 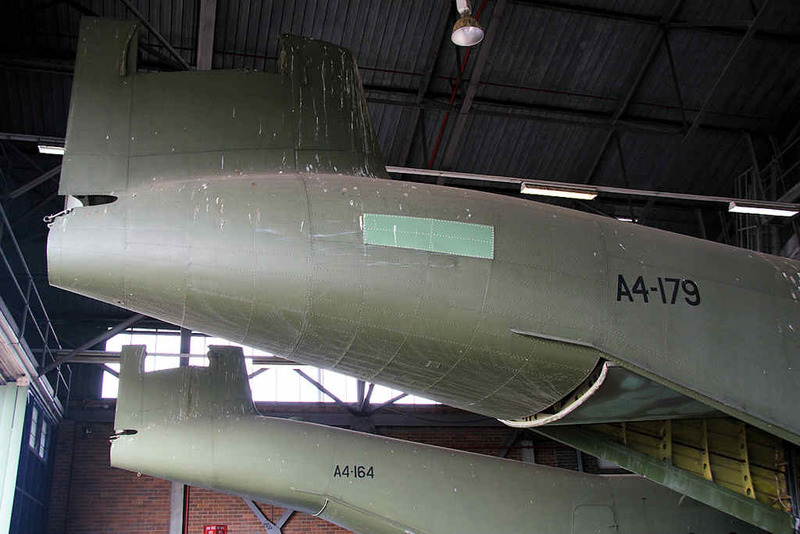 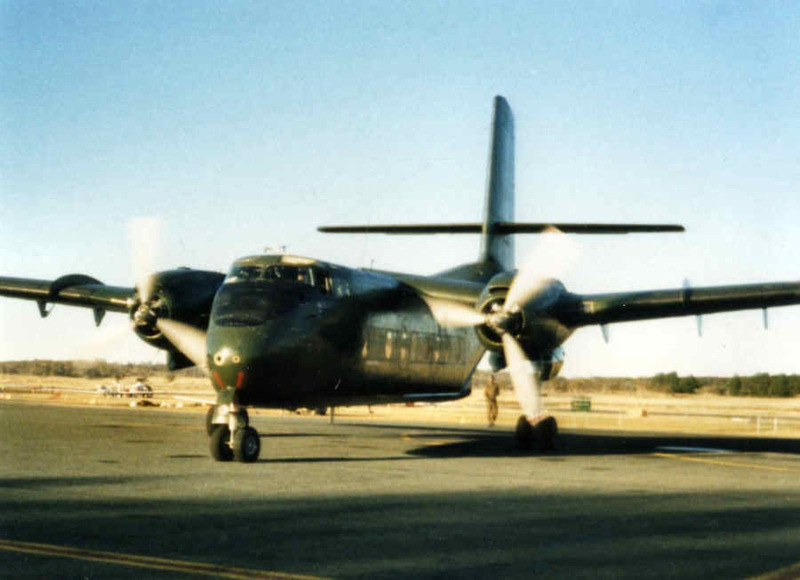 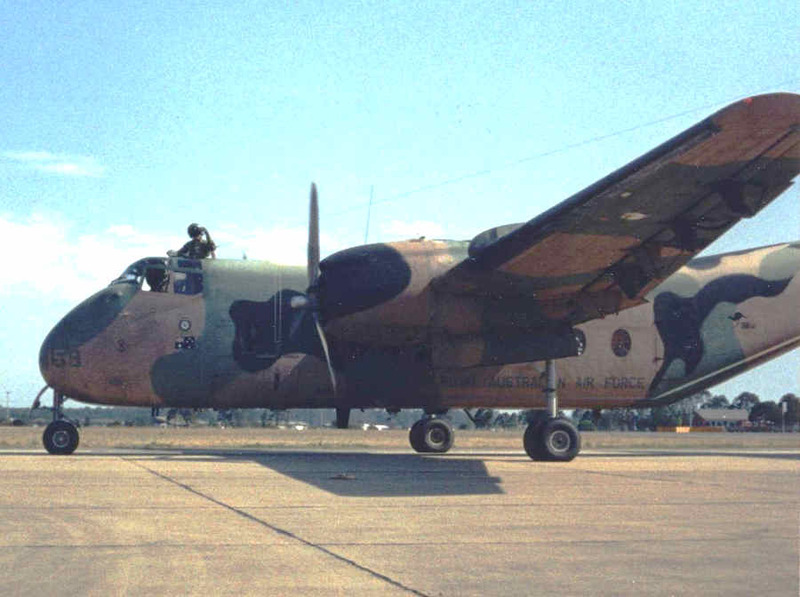 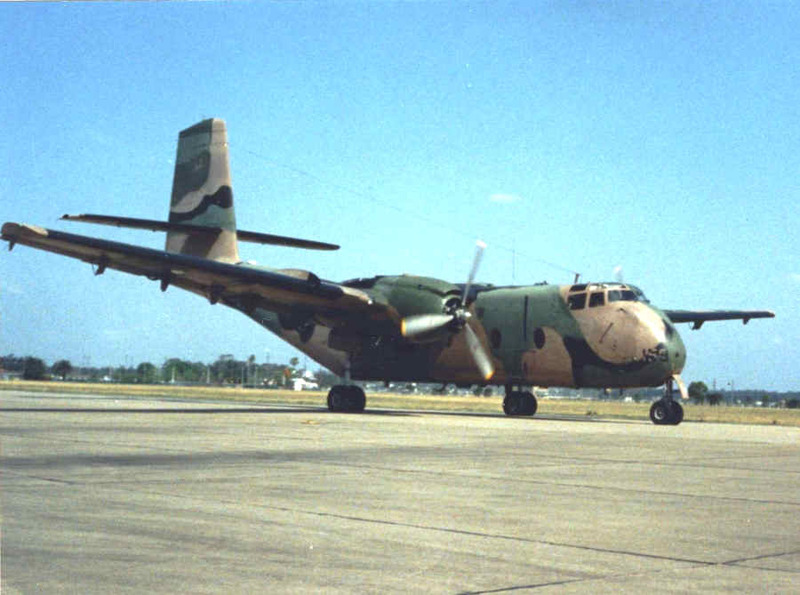 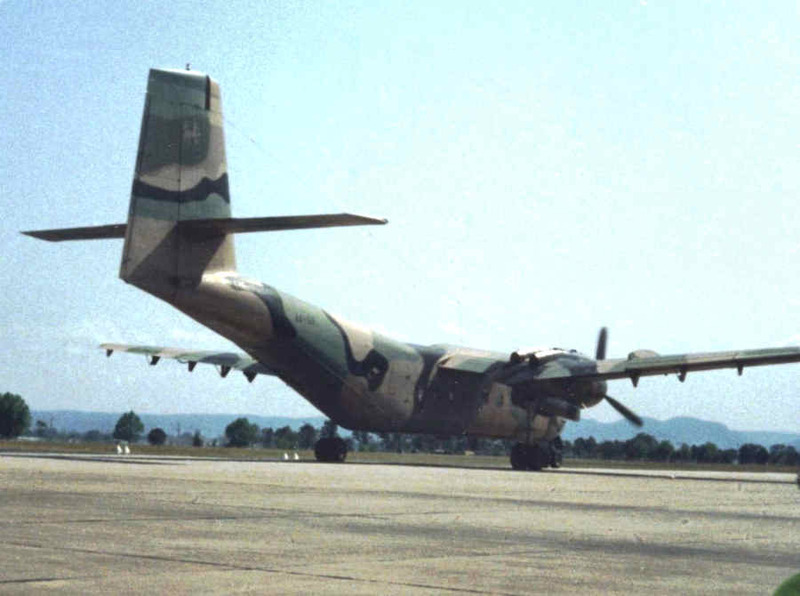 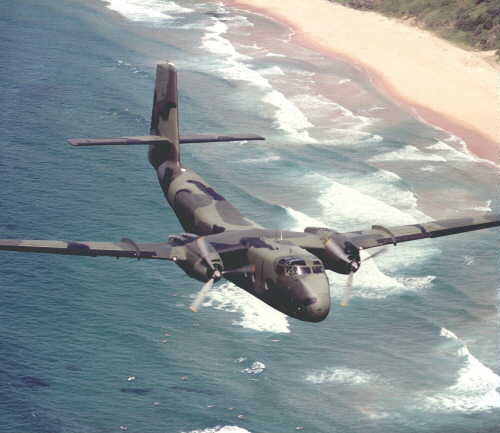 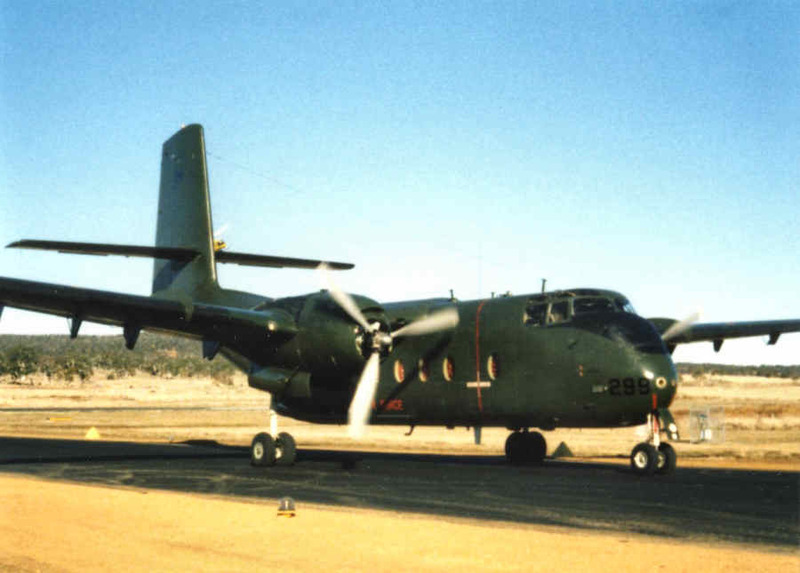 This aircraft served in Vietnam from August 1964 to June 1971. 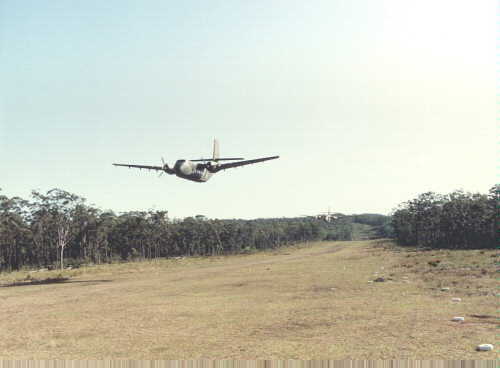 Amberley Airfield, (YAMB) Queenslands on September 26, 2006. 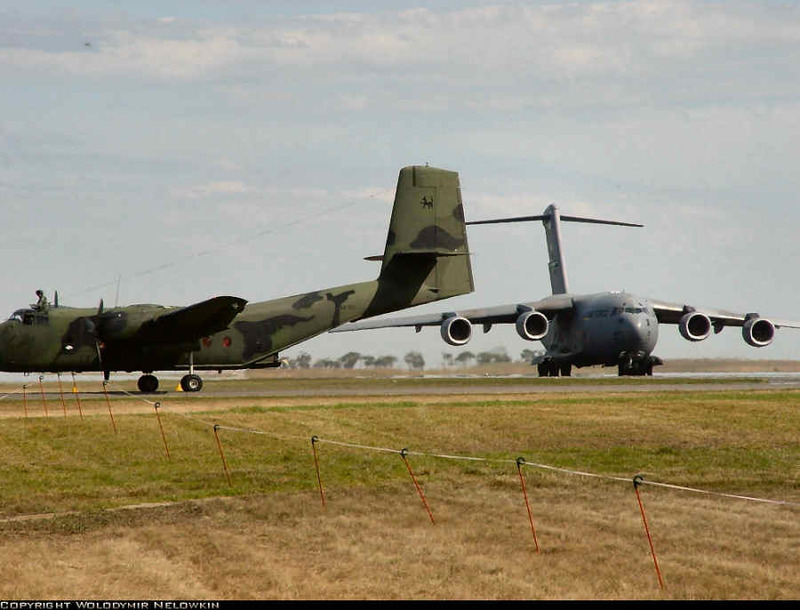 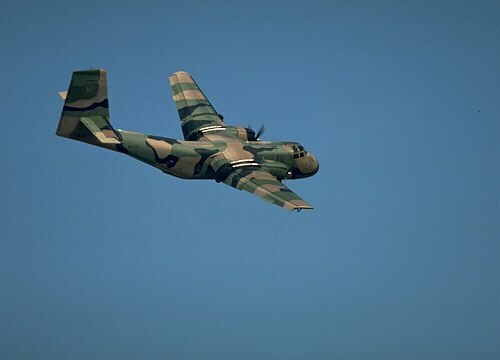 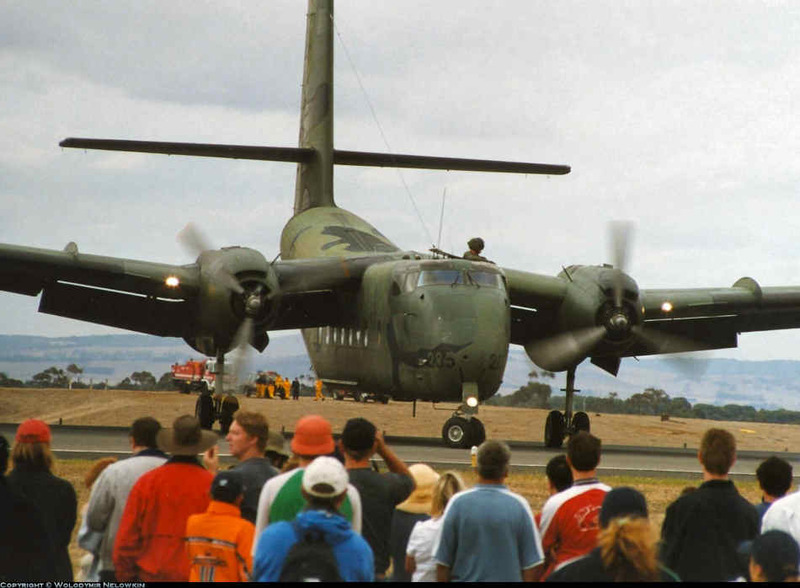 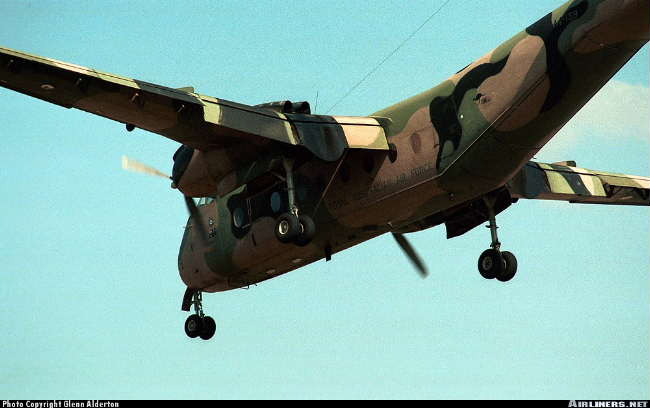 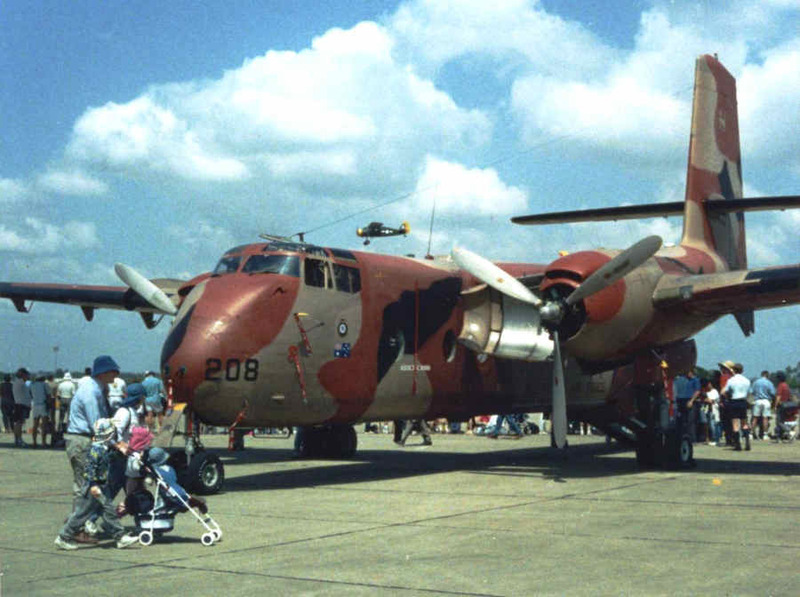 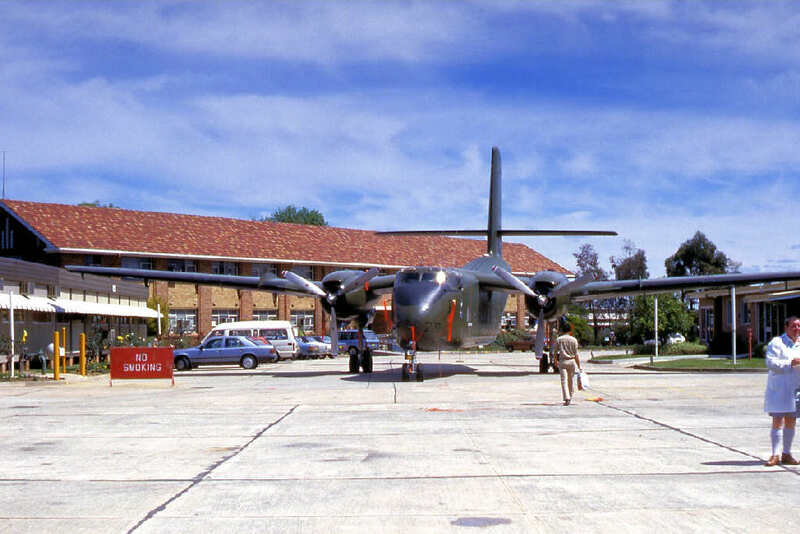 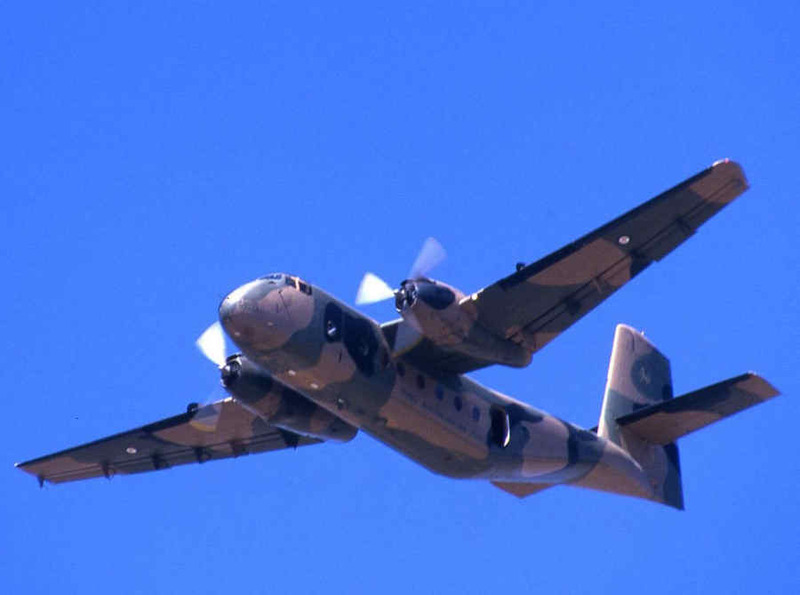 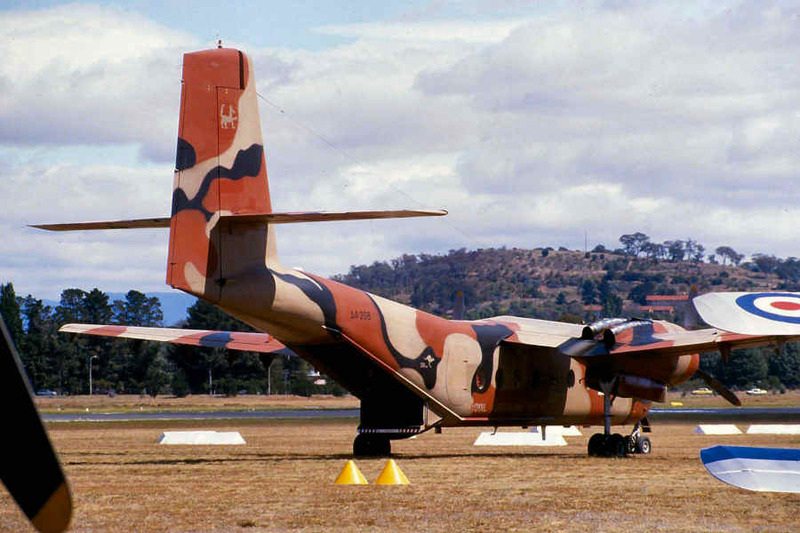 >>> A4-208 in Red Sand Central Australian Desert camouflage taken at the Bi-Centennial Air Show at RAAF Base Richmond, NSW on October 13, 1988. 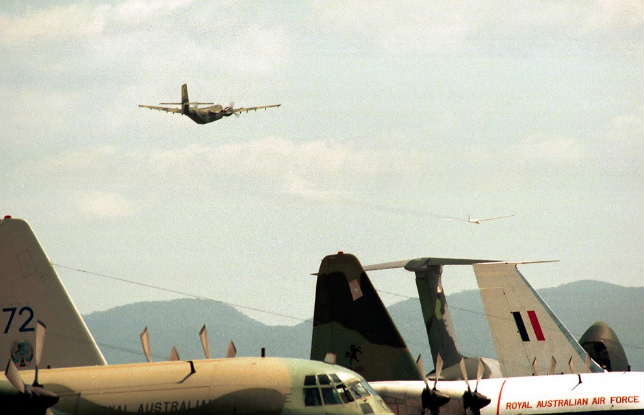 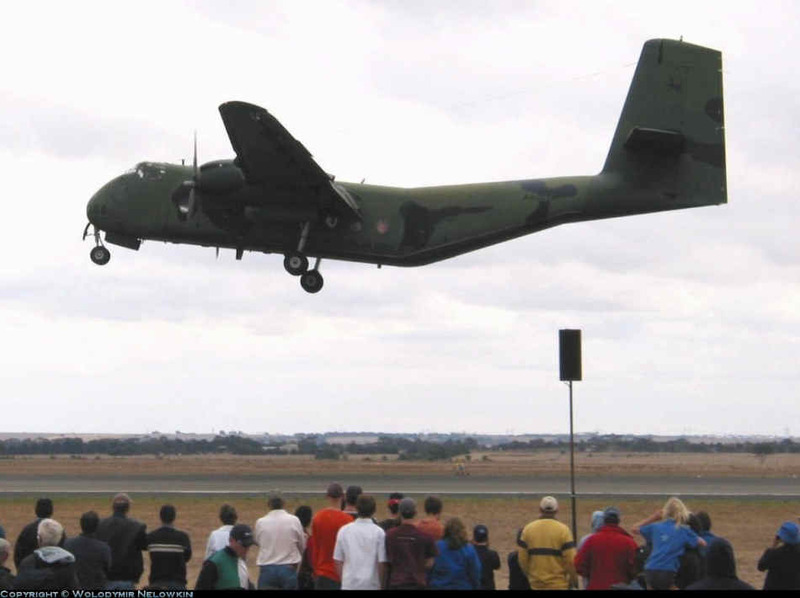 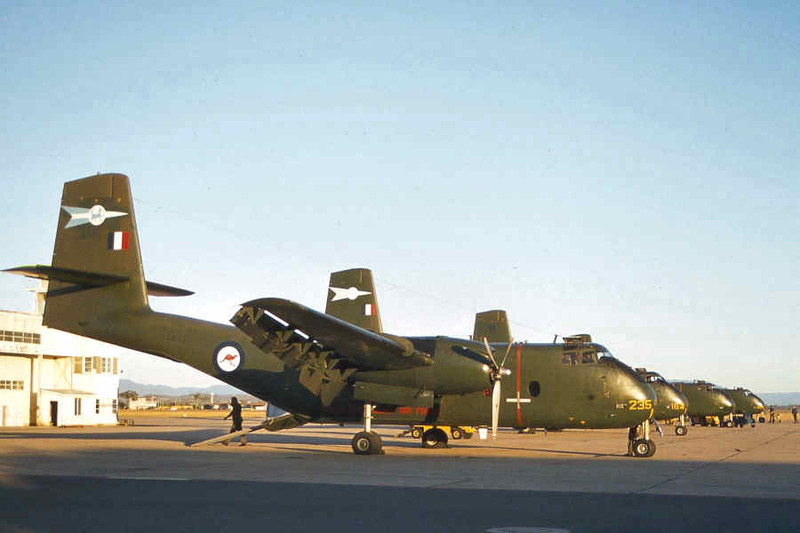 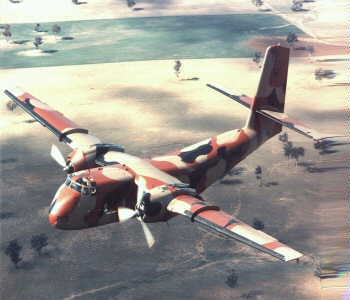 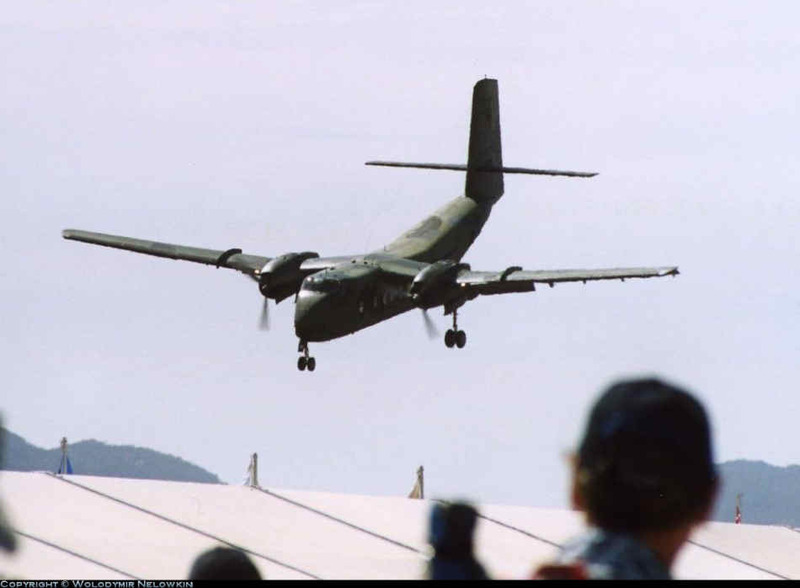 A4-208 in Red Sand Central Australian Desert camouflage taken at the Canberra Air Pageant on March 13, 1988. 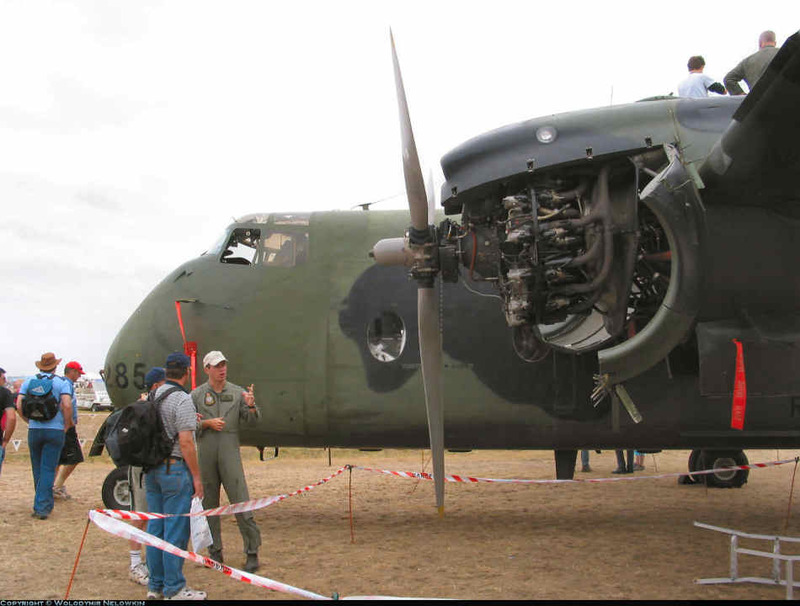 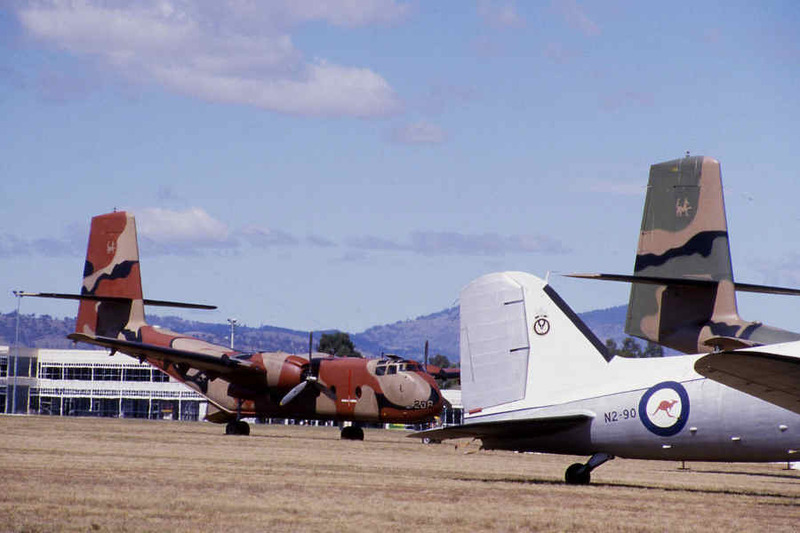 Along with 208 is a Tiger Moth, a Royal Australian Navy Dakota N2-90 and the tail of A4-225. 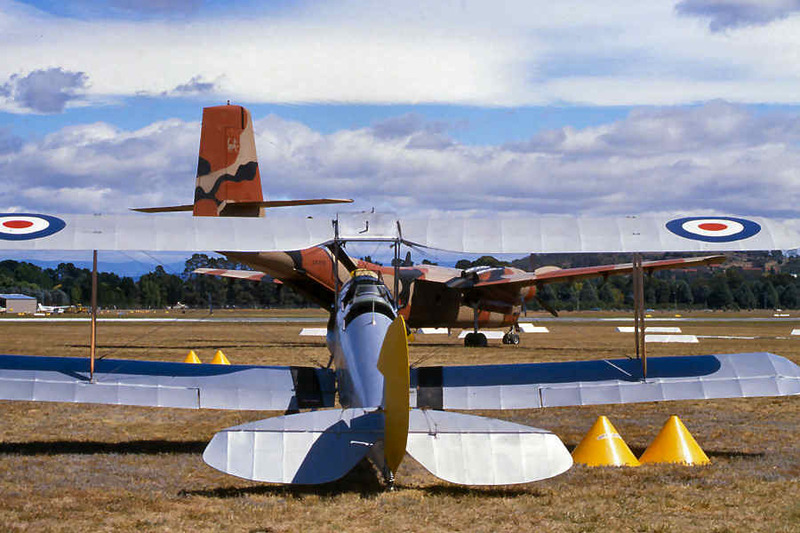 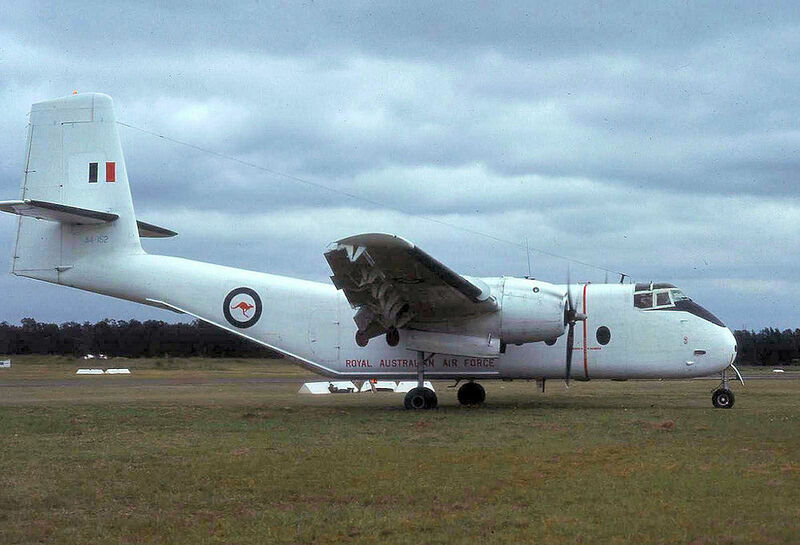 A4-299 (cn # 299) at Cooma NSW during the "Snow Opening Air Show" on May 11, 1986. 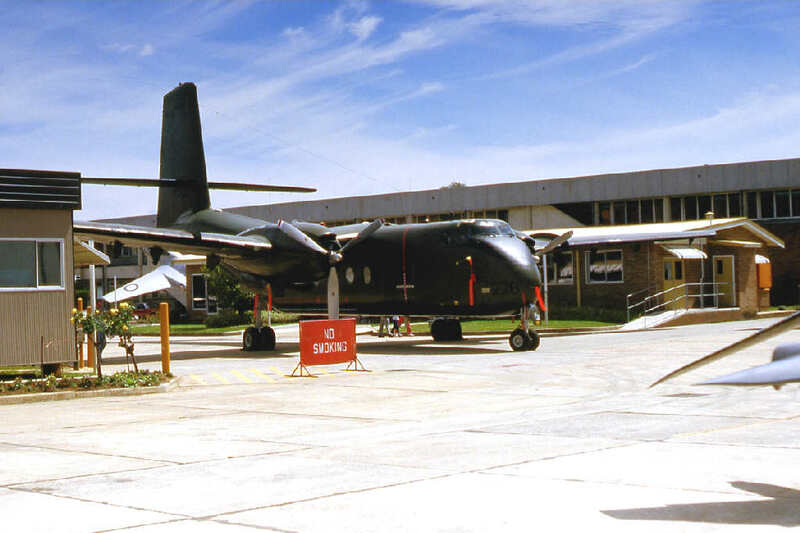 Cooma is the gateway to the New South Wales Snow Area.